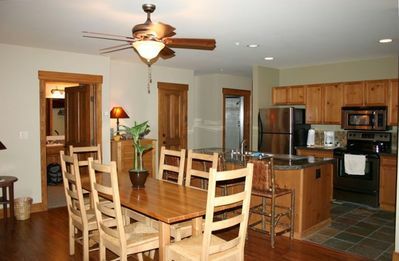 Beautiful Downtown Home - Book Spring Break Now!! 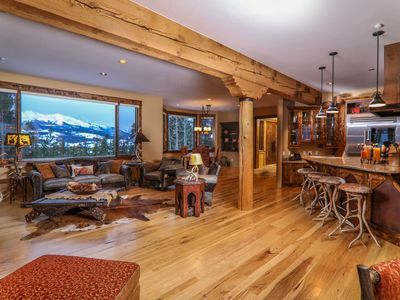 This beautifully remodeled historic home in downtown Breckenridge is perfectly located just two blocks from the free ski shuttle stop and four blocks from all the wonderful stores, restaurants and art galleries on Main Street. With three bedrooms that sleep up to ten comfortably, this home is perfect for a large family looking for the quiet of a residential neighborhood while providing the accessibility to walk to most points of interest. 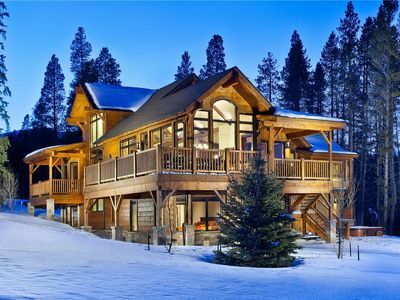 The long walkway to this home leads to a private deck with gas grill. 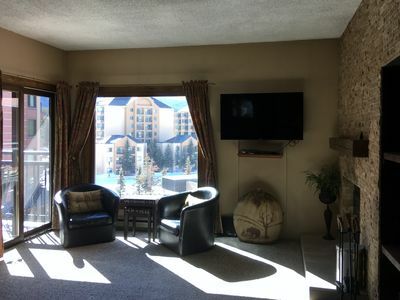 When entering the home, you are welcomed into a magnificently decorated living room with attached kitchen featuring granite counters and stainless steel appliances. 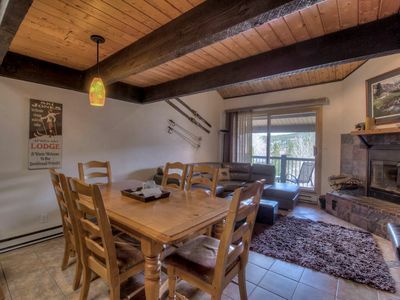 Modern furnishings meet historic design with a separate dining room and the ¾ guest bathroom on the main level. 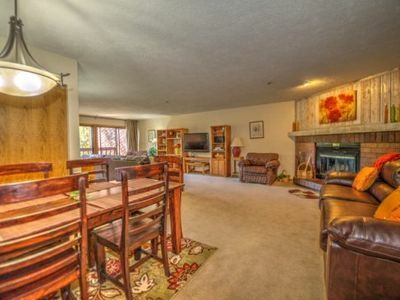 Off the living room is a back patio with private hot tub and plenty of peace and quiet. On the upper level are two elegantly decorated bedrooms with Queen beds. Just down the hall is the third bedroom that is furnished with two Twin-over-Full bunk beds. In between the rooms are two separate full bathrooms. 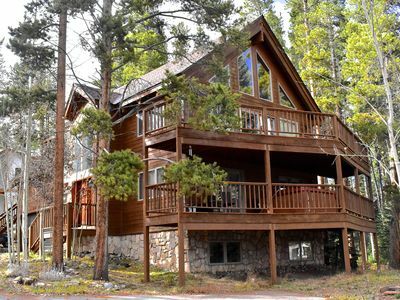 This home is perfect for a family with young children or a group of friends looking to enjoy all the excitement that Breckenridge has to offer. Small dogs allowed with prior permission, $200 non-refundable fee will apply. 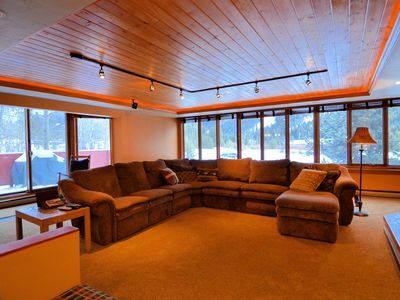 * Great Room with three leather sofas, gas fireplace, 42' flat screen TV with Bose 3-2-1/DVD & HD DirectTV. 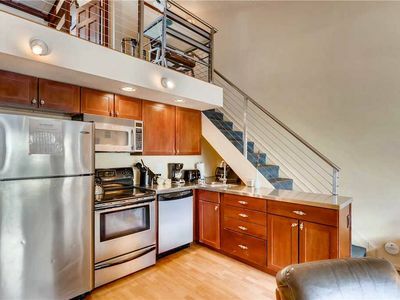 * State-of-the-art open Granite Kitchen, fully equipped, bar counter. * Cozy Dining Room, seats six. * Bathroom Number One (shower only). * Mud Room in entry for coats, skis and boots. 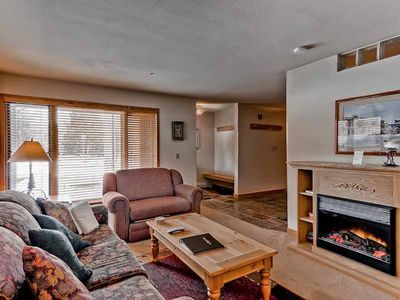 * Large Master with Queen Bed, TV, partial ski slopes views. * Bathroom Number Two with Jacuzzi tub and shower. * Second bedroom with Queen Bed, TV. * Bathroom Number Three with tub and shower. Hardwood floors downstairs. Beautiful artwork throughout. 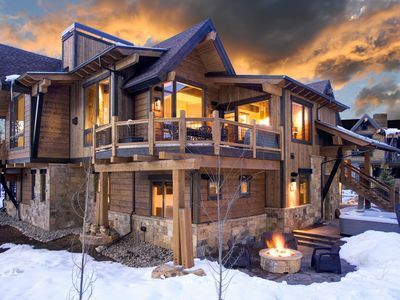 You will feel right at home in the mountains in our lovingly appointed house. 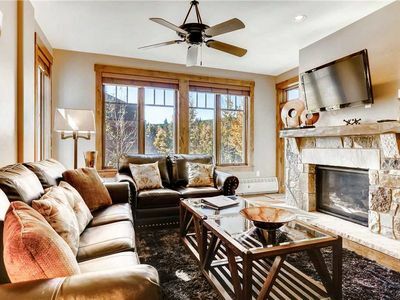 Keywords: Beautifully remodeled historic home in downtown Breckenridge perfectly located just two blocks from the free ski shuttle stop and four blocks from all the wonderful stores, restaurants and art galleries on Main Street. 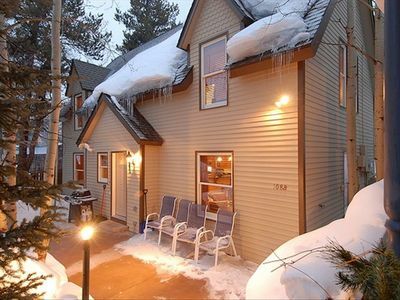 Beautifully updated condo in the heart of Breckenridge! 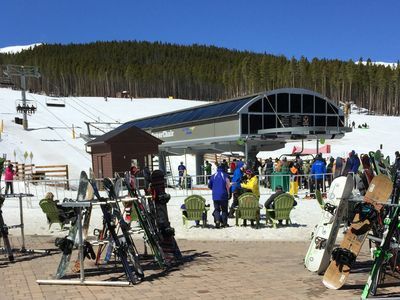 Awesome 2 BR in Keystone-Sleeps 8!! Steps to the Gondola!! 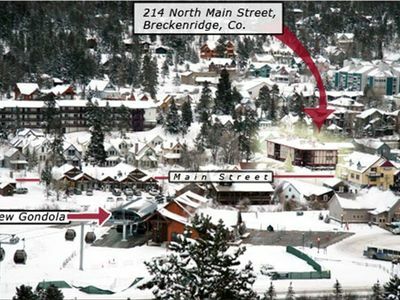 Luxury living in Breckenridge - Amazing condo with even better amenities! 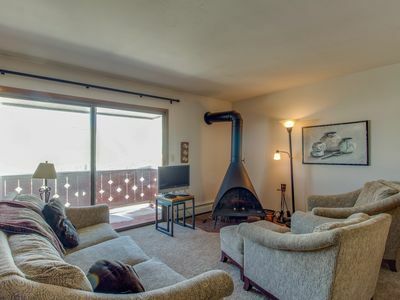 Conveniently located townhome w/ tennis & sauna - near Lake Dillon & the slopes!